HAI staff participated in the ‘Take Back the Street’ walk in Dili, Timor-Leste on August 25, 2016. 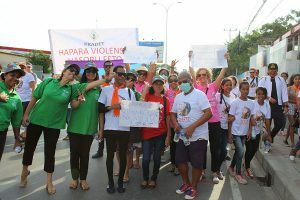 Organized by UN Women and several other partners, the walk was aimed at raising public awareness of sexual and street harassment and informing community members of the support services available for those experiencing harassment. 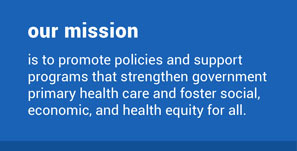 HAI uses the mHealth program Liga Inan to strengthen links between existing services, such as sending out SMS messages to health providers with the Victim’s Support Unit contact information at the municipality level. The HAI clinical team is also in the process of developing an on-the job module to help midwives respond to gender based violence within the context of antenatal care. HAI will continue to participate in the gender technical working group to stay abreast of gender related issues and events in Timor-Leste.